Can Fluoxetine Get You High? 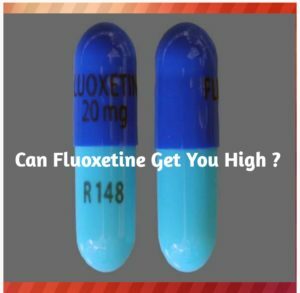 Home » Health Blog » Health » Health Features » Can Fluoxetine Get You High? Yes you can get high while using Fluoxetine. Many users have reported euphoric effects following the administration of Fluoxetine even though getting high on the drug is considered to be fairly rare. In fact, only about .1 – 1% of users report feelings of extreme well-being while using Prozac. Fluoxetine exert its action by increasing the amount of serotonin, a natural substance in the brain, serotonin is responsible for mood, appetite and sleep. The increased amounts of serotonin in the brain can help elevate mood, and contribute to feelings of well-being that are important when treating mental health disorders. This increased serotonin levels may also be responsible for the euphoric effect or high reported by Fluoxetine users. However, it is illegal to deliberately use Fluoxetine or any pharmaceutical preparation in order to get high, always seek medical counsel before taking any before you take an antidepressant. You should discuss with your doctor about the risks and benefits of treating your condition with an antidepressant or with other treatments. You should also talk about the risks and benefits of not treating your condition.